What I missed in all my travels through the world of the Maya, was a book that concisely explained where the interesting Mayan ruins are located, how to get there, a short guide which otherwise was limited to the description of the Maya sites and lacked the overload of restaurant and hotel descriptions. Because something similar was simply not on the market, I sat down and wrote such a book myself. This is a compact guide that contains the 15 main archaeological ruin sites of the ancient Mayan civilization on the Yucatán peninsula and also explains the optimal route for visiting these sites. 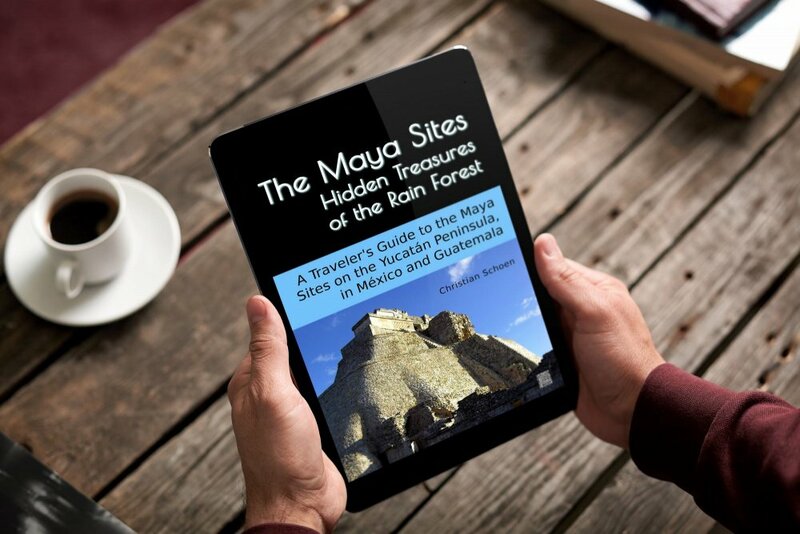 A perfect guide for those travelers who are primarily interested in the most important Maya sites. In addition, I included the La Venta Museum Parc in Villahermosa in the book, where the traveler will find several monolithic structures of the Olmec culture. The Olmec culture is famous especially for the giant stone heads which they left behind when their civilization disappeared. From these starting points or “base camps” you can explore the world of the Maya. From a leisurely day trip to a 5-day walk through the Guatemalan jungle, all levels of difficulty are available. I didn’t include lists of hotels or restaurants because I wanted to avoid the inclusion of short-lived information. During my travels I found that common travel guides can become a reason for frustration because such accommodation related information is outdated. In contrast, I think that the internet is a much better information source for hotels in a certain city than any printed travel guide. Therefore, I do not exaggerate if I state that this is the perfect book for all kind of travelers and explorers: Light, short, crisp. Each of the Maya sites is documented with numerous color photos. Altogether there are about 100, which I have inserted at appropriate places in the book. For each (almost) of the Maya sites discussed I included a sketch map (a total of 14 maps), so that you can find the path along the site in the ruins. I have visited each of these sites on several trips and all photos are my own. For the modern traveler who tries to keep his luggage lightweight, an eBook makes the most sense. And viewing it on a modern tablet allows to zoom in the photos. Therfore I used a fixed-size layout, similar to the printed version. A print version can be purchased as well. The “Maya Sites – Hidden Treasures of the Rain Forest” is suitable for any “variety” of tourist, for backpackers, luxury travelers, and explorers. It is available in English and German language so far and contains 155 illustrations (91 color photos). I added three additional sections to the second edition, to satisfy the request of many of my readers. Section 3 describes the history and culture of the ancient Maya. Section 4 is solely about the Maya calendar. Section 5 talks about the Mayan languages and the writing system. 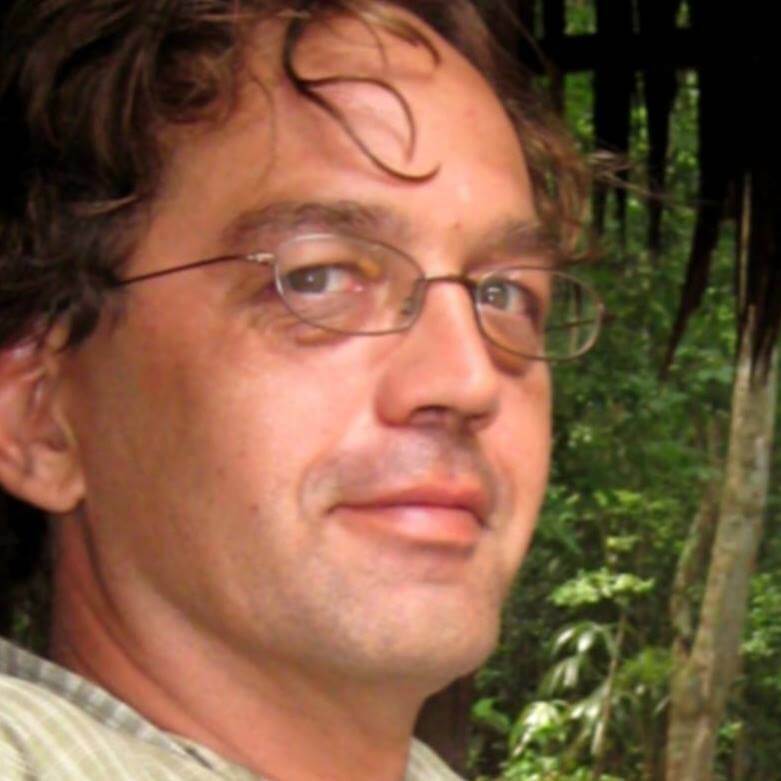 Author bio: Christian Schoen was born in Freiburg in Germany. Traveling has always been a special experience for him. The passionate traveler and biologist refers to getting to know other cultures as its lifeblood. On numerous trips through southern Mexico, the highlands of Chiapas and the hot and humid jungles of Guatemala the globetrotter dipped deep into the ancient culture of the Maya. 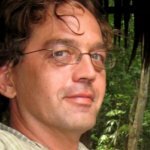 After publishing the highly successful blog project “Amazing Temples and Pyramids”, he decided to additionally publish his travel experiences in this book.